Why has land grabbing become a major global social issue, and what have been the recent drivers behind the dramatic rise in large-scale land acquisitions over the past 10-15 years. Where are the current major global ‘hot spots’ of land grabbing, and what are the consequences in terms of livelihoods, poverty, culture, social disruption, governance, conflict and environmental destruction? What have been some of the social, political and market responses at local, national and international levels? 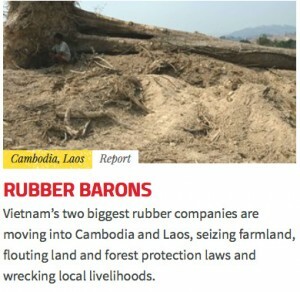 Focus on the Greater Mekong Region: recent causes and effects of land grabbing in Cambodia, Laos and Myanmar; and how GW is working with our partners and allies to address land governance issues in the region?